I haven’t been in the kitchen for a while thanks to renovations, I barely have space to take pictures or cook but this recipe was perfect for getting me slowly back into the swing of things. I have a fondness for White Star products, their innovative, easy to prepare and are easy on my budget! When I came across White Star quick, I wasn’t so sure.. being that we’re a typical black family, and half cooked pap is unacceptable. But when this product is prepared according to instructions, it tastes exactly the same at a fraction of the time!It was great for this recipe, as it acts as a binding agent and a coating! 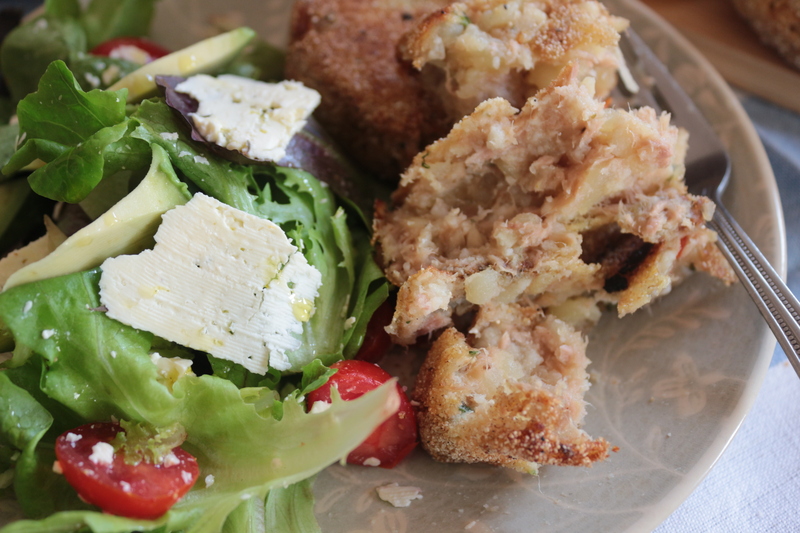 Read how to make these delicious fish cakes below! Mix all your ingredients together (except oil and uncooked maize meal) season to your liking. Shape them into balls and flatten to resemble patties. Chill in thethe fridge for atleast 1 hour. Beat 1 egg, and season as well. Dip eggs in, and then coat with seasoned maize meal. Heat up a pan, and add small amount of oil to shallow fry cakes , fry until they’re golden, remove and place on kitchen paper. 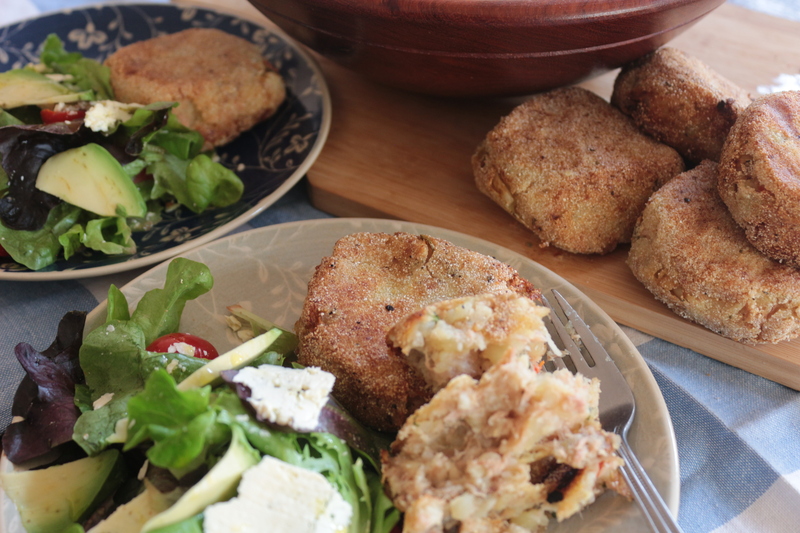 This fishcake is perfection, spicy but not overwhelming hot, seasoned well, as no bland ingredients used, crispy outside and soft inside! Try them tomorrow for a light lunch! Previous Post Herby Cheese Burgers..